Apple has ranked fourth in Fast Company's annual list of The Most Innovative Companies of 2017 published today, moving up three spots from its seventh-place finish in 2016. Apple trailed behind Amazon, Google, and Uber, and directly ahead of Snapchat, Facebook, and Netflix in the list of 50 companies. 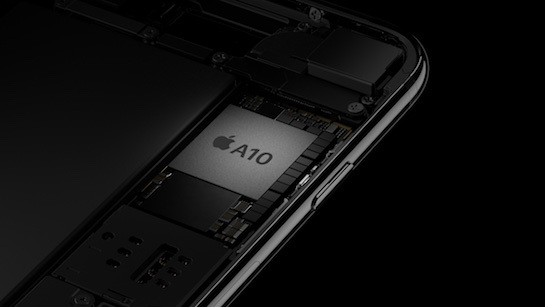 The publication credited Apple for designing four of its own chips last year, which allows it to "control its own destiny" and create "the most compelling consumer-electronics experiences," including the A10 Fusion chip in iPhone 7, W1 chip in AirPods, T1 chip in the MacBook Pro with Touch Bar, and S2 chip in the Apple Watch Series 2. "We pick the projects where we feel like we can make a difference—the big customer-impacting features," says Anand Shimpi, who works on hardware technologies at Apple. So the stunning depth-of-field effect from the iPhone 7 camera? That’s directly enabled by the new A10 chip. "The actual production of the stored portrait image is because of things that we put into the [image signal processor]," Shimpi says. Each chip has resulted in technological breakthroughs for Apple. The W1 chip in AirPods, for example, is programmed to automatically route the audio to each earphone, and engage the microphone, while its low power usage results in industry-leading battery life up to five hours on a single charge. The S2 chip in Apple Watch Series 2 models results in performance improvements without sacrificing battery life, and the four-core A10 Fusion chip in the iPhone 7 and iPhone 7 Plus is up to two times faster than the A8 chip in the iPhone 6 and delivers the longest battery life—up to two hours longer—of any iPhone ever. I can already hear the heads exploding around here. Unreliable source considering their top 50 doesn't include Tesla, which belongs in the top 3 spot. Maybe they're waiting for Tesla to make a profit first. What does that have to do with innovation? The list is called "World's Most Innovative Companies". My point still stands. It's February 2017 . Probably a good time to name the most innovative companies in 2016. But I kinda miss Anand at Anandtech. "Our reporting team sifts through thousands of enterprises each year, searching for those that tap both heartstrings and purse strings and use the engine of commerce to make a difference in the world. Impact is among our key criteria." I think Apple is an innovative company, but am I the only one frustrated with this kind of subjective methodology? AKA "our methodology is to marry bait with clicks". Most innovative list contains no biotech? Ok. This is a lazy list of Silicon Valley companies that ignores whole industries that continue to demonstrate crazy innovation. Fracking innovations? Solar innovations? Robotics? Amazon is innovative but their innovations are fairly one dimensional. Google has some interesting stuff going. Maybe try reading the source material. View winners by sector ('https://www.fastcompany.com/most-innovative-companies/2017/sectors').